We carry wind flags in various shapes including tear drop, shark fin and rectangle. Our wind flags range from 6' to 17' tall and are available with optional accessories to enable you to display them indoors or outdoors. 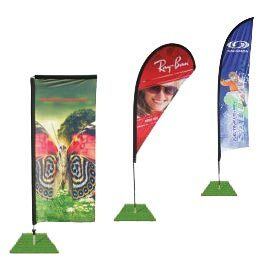 These durable wind flags can be printed with your design on one side or both sides and come with a convenient carrying case. Please contact us for a free quote. These premium tent canopies keep you sheltered and get you noticed! 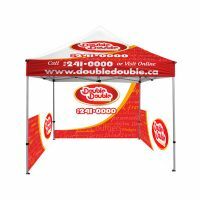 Our canopies range from 10' to 20' and are printed with your custom design in full color dye sublimated graphics. 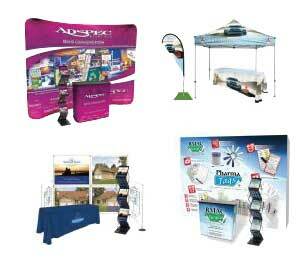 They are easy to fold and are ideal for trade shows. They are available with or without optional half or full side walls. 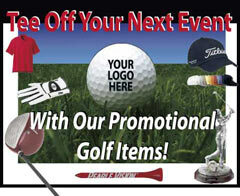 These retractable banners are available in various sizes and are printed with your full color graphics. They set up in less than one minute and have optional lighting and hard carrying case accessories available. Please contact us for a free quote. 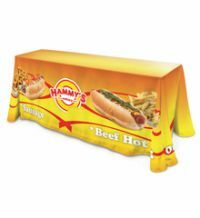 We offer full color table runners, table throws and fitted table cloths printed with your custom design. 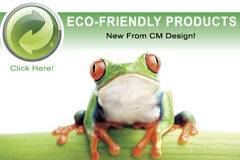 They are available in various sizes and colors to meet your needs. 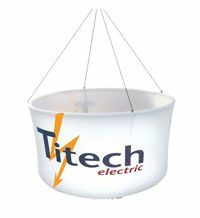 These hanging banners are available in various sizes and shapes including circle, cone, square, curved square, triangle, curved triangle, boat, pinwheel and rectangle. 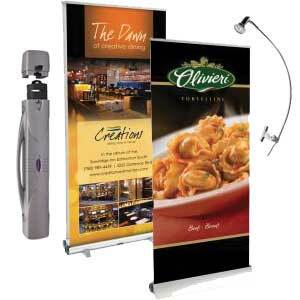 They set up quickly and are ideal for trade shows, point of sale or presentations. If you need a complete display set for your next event; please let us know as it is a great way to get more value for the money. We can help you design a display that will meet your needs.